"Twitter is a phenomenon. The 140 character tweet is now a part of the American fabric." Twitter is a phenomenon. No doubt about it. The 140 character “what are you doing?” idea has already become an icon of American life in record time. Twitter has allowed us a glimpse back into each other’s busy life, giving us a way to keep in touch, share life and get to know each other. Twitter became a vehicle for me to do what I love: teach, write and help people. 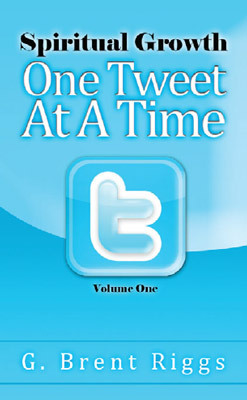 It dawned on me that a book comprised entirely of tweets might really interest a world that embraces soundbites and quick moving thoughts. Think about them one at a time. Or read a couple of pages and find the one that really speaks to what is happening in your life. My prayer is that you will grow spiritually... one tweet at a time.